Breakfast – is the energy charge for the day. Remember the adage – eat breakfast yourself, share dinner with a friend, dinner give to the enemy? And very importantly, what you will start day. And it is best to start with healthy food (preferably continue too!). In this case, there is nothing better than ordinary oatmeal. Oatmeal porridge is a menu of almost every Hollywood movie stars, helping them to maintain good physical shape and complexion. Oatmeal is a great morning meal: it is easily and quickly saturates the body with energy. 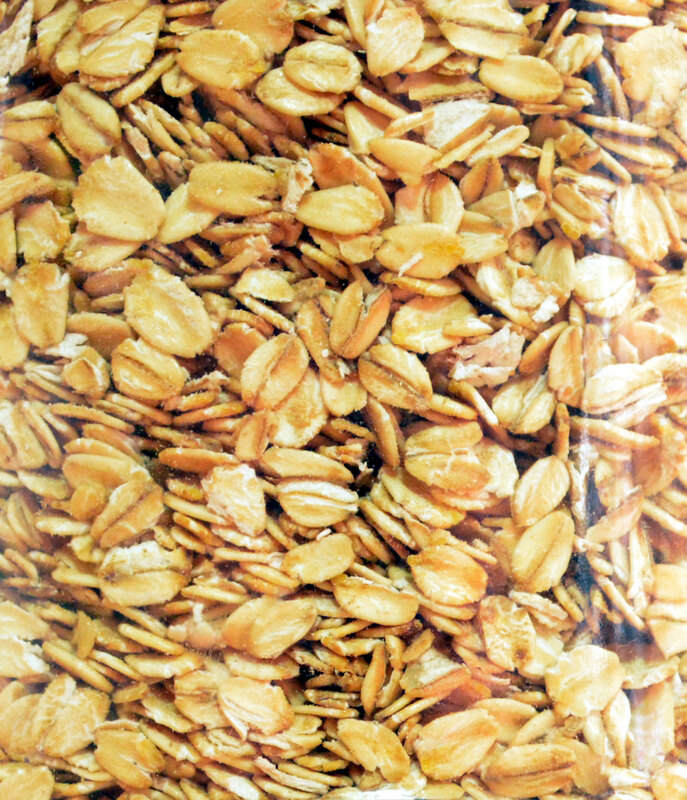 In addition, oats is a valuable nutritious food, rich in complex carbohydrates, high-quality protein and dietary fiber, especially soluble beta-glucan. This cereal contains vitamins A, E, B1, B2, B6, K, in the most balanced amino acids for our body’s balance, as well as elements such as copper, zinc, cobalt, potassium, iron, manganese, iodine, fluorine, etc. As shown by epidemiological studies, consumption of whole-grain oatmeal protects against cardiovascular disease, diabetes type, as well as obesity. Oats – a good antioxidant, it contains the fat with a high proportion of unsaturated fatty acids, prevents the synthesis of cholesterol in the body and slows the absorption and release of sugars. Due to the primary fiber, oat products improves bowel contributes to the normalization of metabolism and even prevention of cancer. Oatmeal porridge, falling into the stomach, envelops his original film, which facilitates digestion. Grains of oats even shredded into flakes act as a kind of cleaner to the intestines, removing all the “garbage”. Oatmeal has more antioxidant properties than vegetables, fruits and cereals! Biotin in the oatmeal is struggling not only with lethargy, drowsiness, poor appetite, but also with the dryness, scaling and inflammation of the skin, hair loss. Contained in oats substances increase immunity and inhibit the aging process. Therefore, porridge is often referred to as kasha beauty, and flakes are components of many cosmetic masks. A good portion of oatmeal for breakfast is useful for those who want to lose weight, or is afraid to get better. Oat soluble fiber gives a feeling of fullness even smaller portions. Carbohydrates oat fiber is not degraded in the upper digestive tract, so it does not bring unnecessary calories. The result: extra pounds disappear in the most natural and effective way. For comparison, coffee or tea with sandwiches, on the contrary, because most people have an acute attack of hunger somewhere between 10 and 11 hours. For detoxification and weight loss doctors and nutritionists recommend drinking a decoction of oatmeal 3 cups oats, rinse thoroughly and pour 3 liters of water. Boil on low heat for 20 minutes, then remove from heat and wrap for 24 hours or leave in a thermos. Later, strain the broth through a napkin, add 100 g of honey, tightly close the lid and let boil again. Allow to cool and refrigerate. Add freshly squeezed lemon juice. Drink the broth, 100 ml per day, half an hour before a meal. The course is carried out 3 times per year: spring, summer and winter.